It’s immediately evident to an human eye when and where there was a drop in submissions in the past couple of months (bugs!). An interesting problem is to be able to automatically identify a drop in submissions as soon as it happens and at the same time reducing to a minimum the number of “false alarms”. 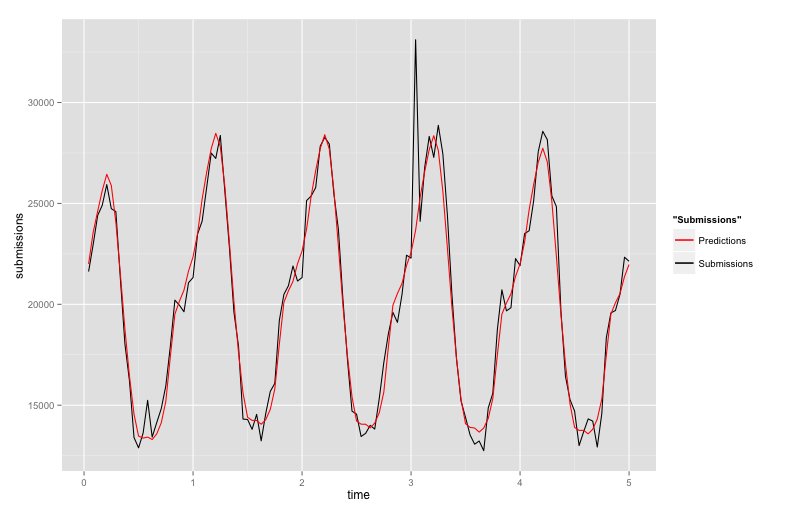 It might seem rather trivial at first, but given that the distribution is quite sparse, caused mostly by daily oscillations, an outlier detection method based on the standard deviation is doomed to fail. Using the median absolute deviation is more robust but still not good enough to avoid false positives. 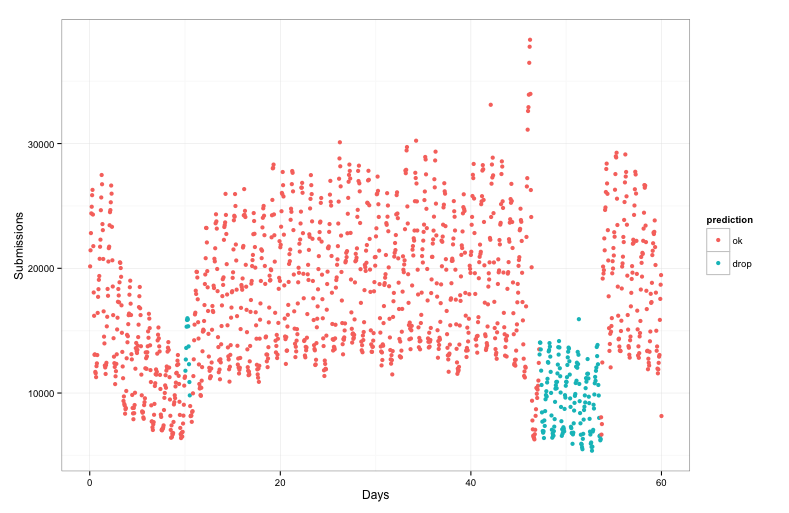 The algorithm requires a certain amount of history to make good predictions, reason why it detected the first drop on the left only after several days. As expected though it was able to detect the second drop without any false positives. 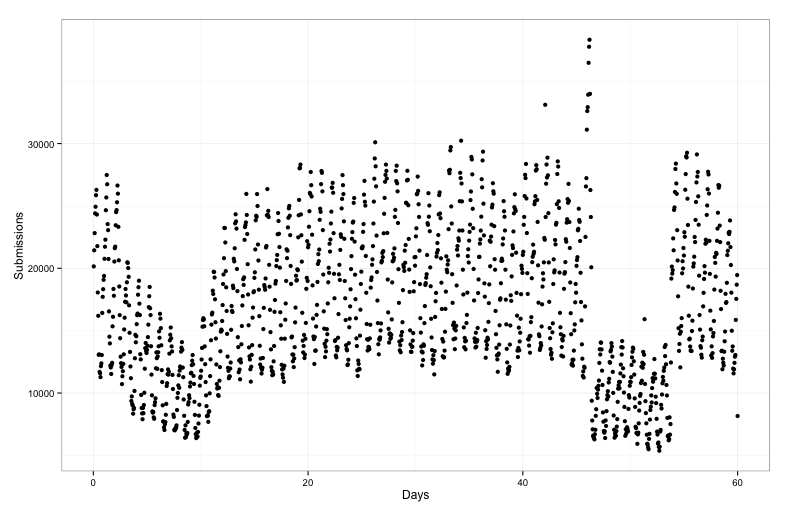 Sudden drops are easy to detect with a robust outlier detection method but slow drops, as we experienced in the past, can go unnoticed if you just look for outliers. That’s pretty impressive! 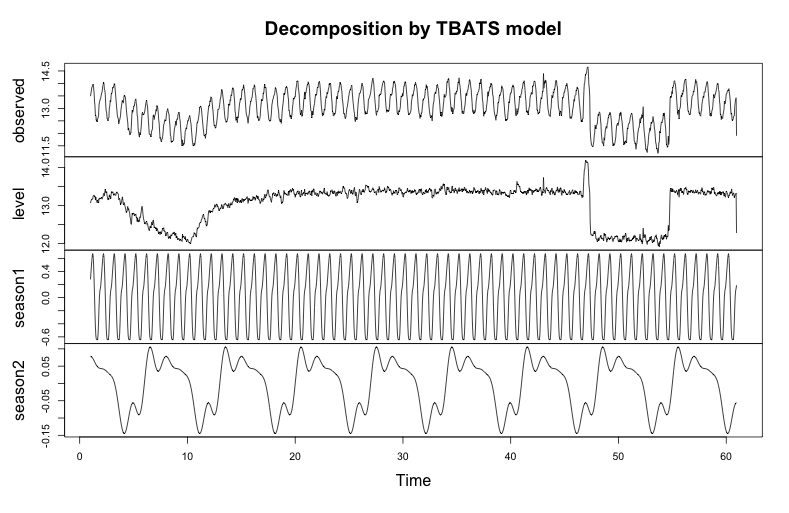 The TBATS algorithm was able to identify and remove the daily and weekly frequency from our signal, what remains is basically the trend and some random noise. 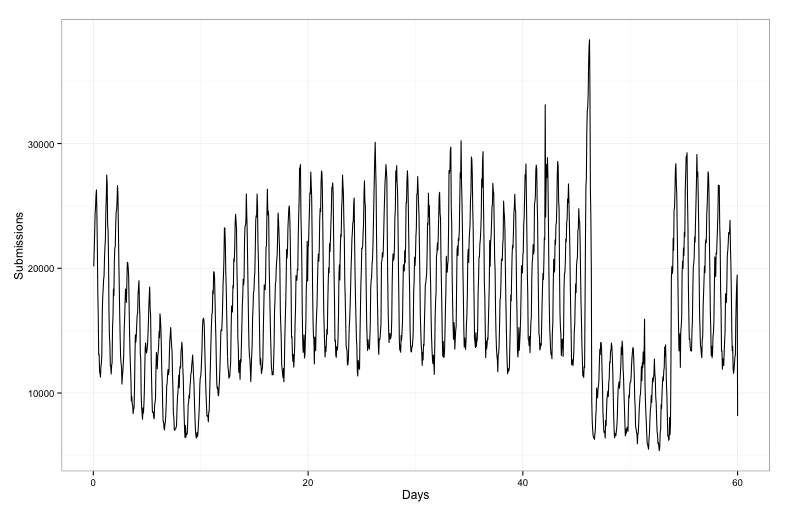 Now that we have such a clean signal we could try to apply statistical quality control to our time series, i.e. use a set of rules to identify drops. The rules look at the historical mean of a series of datapoints and based on the standard deviation, the rules help judge whether a new set of points is experiencing a mean shift (drop) or not. That’s pretty neat, we can immediately see that we have an outlier and the prediction is very close to the actual real data. 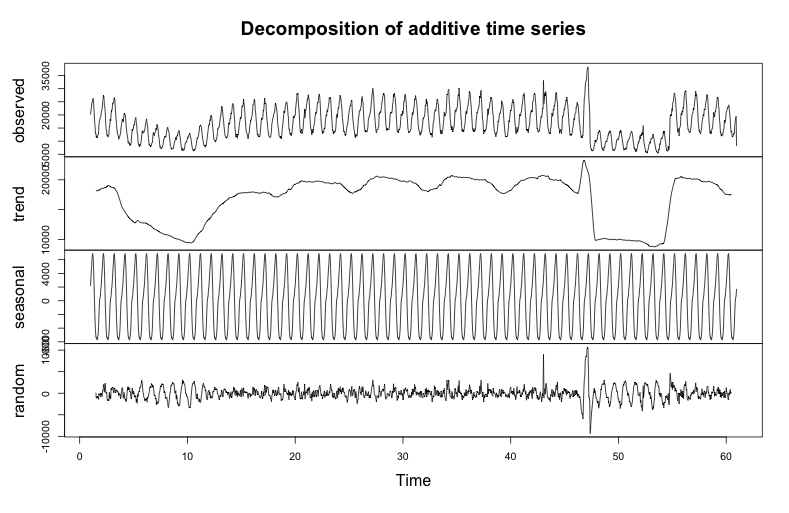 I wonder if there are other methods used to detect alterations to time series so feel free to drop me a line with a pointer if you happen to have a suggestion.